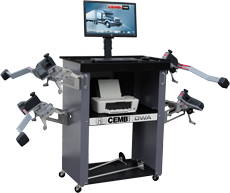 CEMB is an Italian company with a proud tradition of manufacturing some of the finest balancers, tire changers, and alignment machines in the world. While you may not have heard of CEMB, you’ve likely used a piece of their equipment as they are a private label for many popular brands. 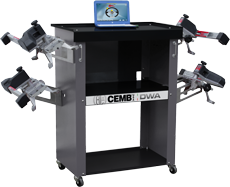 Don’t buy a new piece of wheel equipment before checking out CEMB! 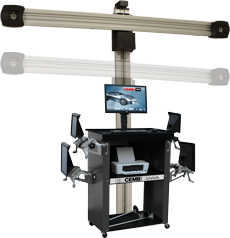 Check out the latest and most affordable alignment technology by CEMB. This system comes standard with wireless bluetooth heads and notebook computer. Performs many functions usually found on high dollar machines such as rolling runout compensation and front/rear end spoiler compensation. Call us for more info on this great machine!